April 1, 8, 15, 22, 29, Mondays, 3pm-7pm. Sorauren Park Farmers Market. Year round. April 3. 2019, Wednesday, 6:30pm. Free. TVA's Durham Veg Group: Monthly Meeting: Mumbay Grill in Ajax. April 3 Location: Mumbay Grill, Indian restaurant buffet, 619 Kingston Rd West, Ajax, ON L1S 6B3, (905) 239-4077. Quote: "Indian restaurant buffet, with vegan options. Dinner starts at 6:30 pm. Please join us, we love chatting about diet specially the benefits of wfpb. RSVP by April 2nd by emailing durham(at)veg.ca or by filling out the form on the right. We kindly request that you honor your RSVP to avoid over or under booking the restaurants"
April 4, 11, 18, 25, Thursdays, 3pm-7pm. Dufferin Grove Organic Farmers Market. Quote: "Local farmers (small farms from southern Ontario) sell their organically-grown products, including fruits, vegetables, herbs, and breads. Runs all year. Access to the produce farm stands is from the south/side entrance facing the park (not through the main entrance facing the mall)." April 5, 2019, Friday, 10:45am-12:45pm. $2. Explore Toronto: Weekday Brisk All Weather Walks - Are You Waiting To "Ex" Hale ? Ver. 3D. Hosted by Dave. Start: Wellesley Station, 16 Wellesley St East, Toronto, ON. Quote:"Starting from the Wellesley subway station we will head southwest through the University of Toronto, Harbord Village ,south again to Chinatown and the Fashion District, west to the Exhibition Grounds, thus providing numerous opportunities for photo ops.ending near King street West and Dufferin street. Walkers may wish to Liberate themselves with a refreshment after concluding the walk. Expect to walk a continuous 10km route over 2 hours, ensuring that you have plenty of drinking water and adequate Sun protection. $2.00 pp walk/site. Walk 340." April 6, 2019, Saturday, 10am. Free? TFN Nature Walk - Colonel Samuel Smith Park. Led by Glenn Berry. Start: Tim Hortons on Col. Samuel Smith Drive. Quote:"Join naturalist Glenn Berry for a last look at some of the wintering diving birds before they head north! Meet at the Tim Hortons, 300 metres south of Lakeshore Blvd. W, on Col. Samuel Smith Drive for a circular walk along possibly muddy paths. Flat route past the nest boxes, marina, Whimbrel Point, wetland, and eastern shore of the park. Tim Horton’s has the only washroom. This walk is only one of more than 140 that TFN will host this year alone! TFN members enjoy a complete listing of walks in our newsletter. Not a member? Learn more about the benefits of membership now! Please tag any photos you take on this walk with #TFNWalk so that we can all live vicariously through your lens." April 6, Saturday, 10am-4pm. Free. Really Really Free Market Toronto. Usually the first Saturday of each month. Quote: "Really Really Free Market, ... @ Campbell Park, 195 Campbell Avenue (10 minute walk from Landsdowne Station). No money. No barter. No trade. Everything is free. If you wish to make a contribution, remember: a) although we're open until 4pm, we can't accept any new items after 3pm b) please only bring items that are clean and in working condition c) we can't accept furniture and other large items, unless you leave your contact info and are available to pick up your large item(s) if it's not taken by the end of the market. No baby car seats, please. We do have a one-shopping-cart/person and two-shopping-carts/family limit; but after 3 pm., you may take a carload if you wish! Any questions?--please write to rrfmarket@gmail.com. (Do not direct reply to this post.) Hope to see you there." - April 6 Saturday, 2019 - Ward 15 | City of Toronto and Councillor Jaye Robinson | 10 a.m. – 2 p.m. | York Mills Collegiate Institute | 490 York Mills Rd. Quote: "Drop off for recycling or proper disposal: Electronic Waste, Household Hazardous Waste. - Eyeglasses, walking aids, hearing aids, etc. Please do not bring construction waste, air conditioners, garbage, wood, cassette and videotapes, commercial/ industrial hazardous waste and scrap metal." April 6, 2019, Saturday, 11am-6pm. Free. Inorganic Market & ADL Process - Certified Electronic Waste Collection - Electronic Waste Collection Event. Location: Jane & Dundas Library, 620 Jane St, Toronto, Ontario M6S 4A6. Quote: "Bring your TVs, computers, phones and other unused electronics for safe disposal. Collected material is sent to ADL Process, a Toronto based, Ontario Electronic Stewardship (OES) processor. For more information visit inorganicmarket.ca or our Facebook event page: @inorganicmarket This free community event is provided by ADL Process Electronics Recycling and iRecycle Computers." Event info: Inorganic Market, https://inorganicmarket.ca/, https://www.facebook.com/pg/inorganicmarket/events/?ref=page_internal. April 6, 2019, Saturday, 7pm-9pm. PYOW. Richmond Hill Vegans Meetup - Meetup @ Graceful Vegetarian Restaurant. Quote: "This is one of my favorite restaurants. We will be eating family style (split bill) All are welcome, whether you are vegan, vegetarian or just curious. Since this is not a vegan restaurant and we are sharing, I ask that everyone order vegan. Hope to see you there... Zhan W."
April 8, 15, 22, 29, Mondays, 3pm-7pm. Sorauren Park Farmers Market. Year round. April 10, 2019, Wednesday, 10:45am-12:45pm. $2. Explore Toronto: Weekday Brisk All Weather Walks - Ossington. Hosted by Dave. Start: St. Clair Subway Station Street Level, St Clair Ave East, Toronto. Quote:"Meeting at St. Clair subway, street level on the north east corner inside by Starbucks. We will make our way along through the neighbourhoods of Forest Hill village, Cedarvale and Wychwood Park then west to the Annex then south finishing on Ossington Ave. at an Ideal location. *** Please note this walk is on Wednedsay*** Walk 306 $2.00 pp walk/site. Please arrive prior to 10 45 a.m. so that we may commence the walk on time." April 10, Wednesday, 6:30pm-9pm. Free. Toronto Philosophy Meetup: Human Cloning and Genetic Engineering. Quote: "In February 1997 Ian Wilmut, a Scottish biologist, announced that he had successfully cloned a sheep, Dolly, from the cells of a Finn Dorset ewe that had been dead for six years. In fact the news that mammalian cloning from adult tissue was possible set off an excited debate among scientists, politicians, ethicists, and the general public about the event's implications and prospects for the cloning of a human being. In tandem genetic engineering quickly become a reality with the introduction of genome editing techniques such as TALEN and CRISPR-Cas9. Few avenues of scientific inquiry raise more thorny ethical questions than cloning and genetic editing of human beings, a radical way to control our DNA. What are the moral concerns that plague this scientific progress? If some forms are ethically permissible how will the political system handle these forms of genome duplication and editing? Although seeming futuristic this practice will soon become our reality. --- Within this meetup we will be discussing the bioethics of genome editing and human cloning. There is no compulsory reading but it is highly recommended taking a look at the following articles: https://plato.stanford.edu/entries/cloning/ | https://plato.stanford.edu/entries/enhancement/ "
April 11, 18, 25, Thursdays, 3pm-7pm. Dufferin Grove Organic Farmers Market. Quote: "Local farmers (small farms from southern Ontario) sell their organically-grown products, including fruits, vegetables, herbs, and breads. Runs all year. Access to the produce farm stands is from the south/side entrance facing the park (not through the main entrance facing the mall)." April 12, 2019, Friday, 10:45am-12:45pm. $2. Explore Toronto: Weekday Brisk All Weather Walks - Let's (Re) Imagine Dragons. Hosted by Dave. Start: Spadina Subway Station, 6 Spadina Rd, Toronto, ON. Quote:"Starting from Spadina Subway, we will meet at street level near the turnstiles. The walk will commence in a south westerly direction through the Annex and Harbord street then onto Chinatown and the University of Toronto. The walk will end on Queen street west near Osgoode subway station. Walk 384 $2.00 pp Please arrive prior to 10:45 so that we may commence walking on time." April 12, 2019, Friday, 7pm-10pm. $5/PYOW. Toronto Vegan Meetup: Toronto Vegan Drinks. April 12, 2019, Friday, 7pm-10pm. $5/PYOW. Toronto Vegan Meetup: CashFlow 101 Boardgame Social for Vegans. Location: Vegandale Brewery, 1346 Queen Street West, Toronto, on. April 13, 2019, Saturday, 9:45am. Free. FULL: WAITING LIST ONLY. History Walk - German Walk 2019. Led by the German Consulate General Toronto. Quote:"Currently, the German Walk participation list is full. At this point, we can only put you on the waitlist. Thank you. It's time for our #GermanWalk again! Join us and learn about Toronto's German roots with our awesome tour guide Bruce Bell. The tour is free of charge and will be held in English language. Registration required, no-drop ins! We will meet on Saturday, April 13 at 9:45 am inside the St. Lawrence Market from the Front Street Entrance (just look out for the German flag); the tour will start at 10 am sharp. Please calculate about two hours for the tour. As we will be walking downtown, please make sure to wear comfortable shoes and to bring water." April 13, 2019, Saturday, 10am. Free? TFN Nature Walk - Spring along the Don River. Led by Paul Foster. Start: NW corner of Pape and O’Connor. Quote:"Take in nature along the Don with Paul Foster! This early spring circular hike explores part of the lower Don River looking for signs of spring. We will look for birds, trees, shrubs, and plants. We will walk on paved trails mostly with some ventures into gravel trails and some dirt trails to look at some features of the Don River. Meet at the Northwest corner of Pape and O’Connor in front of Don Mills United Church. This walk is only one of more than 140 that TFN will host this year alone! TFN members enjoy a complete listing of walks in our newsletter. Not a member? Learn more about the benefits of membership now! Please tag any photos you take on this walk with #TFNWalk so that we can all live vicariously through your lens." April 13, 2019, Saturday, 10am-2pm. Free. Inorganic Market & ADL Process - Community Certified Electronic Waste Collection Event. Location: Highland Creek Library, 3550 Ellesmere Rd, Toronto, Ontario M1C 3Z2. Quote: "Bring your TVs, computers, phones and other unused electronics for safe disposal. Collected material is sent to ADL Process, a Toronto based, Ontario Electronic Stewardship (OES) processor. For more information visit inorganicmarket.ca or our Facebook event page: @inorganicmarket This free community event is provided by ADL Process Electronics Recycling and iRecycle Computers." Event info: Inorganic Market, https://inorganicmarket.ca/, https://www.facebook.com/pg/inorganicmarket/events/?ref=page_internal. - April 13 Saturday, 2019 - Ward 5 | City of Toronto and Councillor Frances Nunziata | | 10 a.m. – 2 p.m. | Eglinton Flats | 101 Emmett Ave.
- April 14 Sunday, 2019 - Ward 1 | City of Toronto and Councillor Michael Ford | 10 a.m. – 2 p.m. | The Albion Centre | 1530 Albion Rd. April 14, Sunday, 10am-3pm. $5. Bare Market Pop-Up / Evergreen Environmental Centre: Drop, Swap & Shop. Location: Evergreen Brick Works, 550 Bayview Ave, Toronto ON, M4W 3X8. Quote: "Join us at our biannual Drop, Swap & Shop event on Sunday, April 14! Reduce your waste, contribute to the sharing economy, grab a bite from the Local Food Court and connect with your community. Swap Mall ...Try swapping instead of shopping at our Swap Mall. Pass on things you don't use, like that funky purse that was just never "you," for things that are new-to-you, like kids clothing, hockey gear or even records. Please note there is a maximum of 20 items, per person present. You must be present to drop off items; you cannot drop off items on someone else's behalf. You will be asked to bring additional items home. Please abide by these rules as they help us reduce waste made from this event and keep it fair for all attendees!. For each item you drop off you will be given 1 ticket in return. If you bring 5 clothing items, 2 casserole dishes and 1 framed art piece, you will get 8 tickets in return. Each item dropped has equal value. All items must be gently used, clean, and functional. You are not allowed to drop off items on someone else's behalf. You must be present to drop off items and pick-up tickets for the swap. Please note that in order to reduce our waste after the event, we will be accepting a maximum 20 items per person. Thank you for helping us work towards our goal of a zero waste event. - Sports & Recreational Equipment: hockey gear, ski equipment, tennis rackets, soccer balls, skates, golf clubs, nets, free weights, yoga mats, jump ropes, rollerblades, boxing gloves, skateboards, & camping/hiking gear." April 14, Sunday, 12n-4pm. York Friends of Animals - Okja Film Screening + Vegan Potluck. Quote: "Join York Friends of Animals @ The Richmond Hill Central Library for a Film screening of the Netflix acclaimed motion picture 'Okja', along with a vegan potluck and socialising. If you would like, please bring a vegan potluck item(a food or beverage item that doesn't contain any meat, fish, dairy, eggs or honey) Thank you. Film Synopsis: For 10 idyllic years, young Mija has been caretaker and constant companion to Okja - a massive animal and an even bigger friend - at her home in the mountains of South Korea. But that changes when family-owned, multinational conglomerate Mirando Corporation takes Okja for themselves and transports her to New York, where an image-obsessed and self-promoting CEO has big plans for Mija's dearest friend. With no particular plan but single-minded in intent, Mija sets out on a rescue mission." Location: Richmond Hill Public Library, room C, 1 Atkinson St, Richmond Hill, Ontario L4C 0H5. April 14, Sunday, 1:30pm–2:30pm. $5. Evergreen Environmental Centre - Panel Discussion: The Rise of the Low Waste Lifestyle. - Dayna Stein ... Dayna Stein is the founder of Bare Market - Toronto's one-stop shop for package-free goods. Dayna has a Bachelor of Science in sustainable food systems and food security and a Master of Science in Strategic Leadership towards Sustainability. Prior to starting Bare Market, Dayna was a consultant working with clients across sectors on sustainable food systems and social enterprise development. Now she spends her days making refillable DIY ingredients, body care, home care (and eventually bulk food) products, as well as "reduced waste" lifestyle items more physically and financially accessible to the everyday consumer. In 2018, Dayna was recognized as Notable Life's Eco-Warrior of the Year. - Sascha Darius Mojtahedi ... Eleven years at the intersection of finance and technology. Disciplined in strategy, design and operations. Optimistic futurist. Relentlessly creative. Today Sascha works on Bunz, a barter-based marketplace where people meet every day to trade everything from clothing and furniture to houseplants and haircuts. In 2018 they launched a cryptocurrency called BTZ that you can earn and send to anyone on Bunz, and spend at local businesses. For Bunz this is a major step toward creating a network that empowers individuals and strengthens local communities. - Ryan Fukunaga ... Ryan is the Executive Director of FreeGeek Toronto. Ryan is a passionate advocate of capacity building, fostering a right-to repair ethos, environmental stewardship, and building technological resiliency for marginalized communities. Ryan aims to collectively, creatively, and critically explore the engagement of technology sustainability within the framework of community building. For the past five years, he has also been the project lead of Digital Storytelling Toronto, an initiative aimed at increasing digital literacy through storytelling in community and non-profit organizations. Through this work, Ryan has collaborated with University of Toronto Scarborough, Brock University, and Children's Hospital of Eastern Ontario. - Moderated by Lhazin Nedhup ... Lhazin leads national projects that builds capacity and bridges the gap between civic engagement and systems change at Evergreen. She has led 100In1Day Canada and Civic Commons strategy, and is currently working on a portfolio of Future Cities Canada Action Labs. Lhazin has extensive experience as a facilitator and program designer, honed over time spent at Ashoka Canada and the Kawartha World Issues Centre. She sits on the Advisory Board for Urban Minds and is a 2019 Civic Action Diversity Fellow. A citizen of Bhutan, Lhazin’s work is informed by a holistic approach to social innovation that strives to build sustainability, equity, and happiness." April 14, Sunday, 3pm-5pm. Free. Toronto Philosophy Meetup: Harry Frankfurt: On Truth (Week 2). Location: West Toronto Masonic Temple, 151 Annette St, Toronto, ON. Quote: "Our culture's devotion to b*llsh*t may seem much stronger than our apparently halfhearted attachment to truth. Some people won't even acknowledge "true" and "false" as meaningful categories, and even those who claim to love truth cause the rest of us to wonder whether they, too, aren't simply full of it. Practically speaking, many of us deploy the truth only when absolutely necessary, often finding alternatives to be more saleable, and yet somehow civilization seems to be muddling along. But where are we headed? Is our fast and easy way with the facts actually crippling us? Or is it "all good"? Really, what's the use of truth, anyway? *** This is our second meeting on the philosopher Harry Frankfurt's book On Truth. We will be discussing Chapters 4 to 9 this week. The book can be downloaded in various formats HERE - https://b-ok.cc/s/?q=harry+frankfurt+on+truth . (For some background info on Harry Frankfurt, see the following: - https://www.encyclopedia.com/humanities/encyclopedias-almanacs-transcripts-and-maps/frankfurt-harry-1929 - https://en.wikipedia.org/wiki/Harry_Frankfurt ) *** This event is organized by The Toronto Freemason Book Club and Discussion Group (https://www.meetup.com/Toronto-Freemason-Book-Club-Discussion-Group/) and co-hosted with the Toronto Philosophy Meetup. (If you'd like to put on your own philosophy-related event or discussion with the Toronto Philosophy Meetup, please contact us.) - Feel free to come to this meetup half an hour early for either general or Freemasonry related questions. - We will not be discussing Masonic ritual and degree work or be making specific references to them at the event. - Our meetings are projected to be positive spaces, so any discriminatory or derogatory behaviours will not be tolerated." April 15, 22, 29, Mondays, 3pm-7pm. Sorauren Park Farmers Market. Year round. April 16, Tuesday, 6:30pm-7:30pm. Cost? TVA Veg Fitness Meetup Group - April 2019 Veg Fitness Group Waterfront Trail Run/Walk. Hosted by Jenn. Quote: "Hey everyone! April’s meetup will be a group run/walk. We will meet at 6:30 at the entrance to Longos @ Maple Leaf Square (main level entrance off of York St ). From there we’ll break into groups based on our pace range and who wants to walk/run, walk or run. We’ll head south on York St to Queens Quay and the waterfront trail, then head west on the waterfront trail and back. We’ll do approximately 25 minutes out and then head back along the same route to ensure we all get back around the same time. Hope to see you there." Start: Entrance to Longos @ Maple Leaf Square, main level entrance, 15 York St, Toronto, Ontario M5J 0A3. April 16, 2019, Tuesday, 7:30pm. Free. RSVP Form Required. TVA's Durham Veg Group - DurhamVeg Documentary Series: Cowspiracy. Quote: "Joining us for Cowspiracy April 16 - 7:30 pm." April 18, 2019, Thursday, 10am. Free? TFN Nature Walk - Early Migrants at the Scarborough Bluffs. Led by Bob Kortright. Start: Kingston Road & Chine Drive. Quote:"Meet walk leader Bob Kortright at Kingston Road at Chine Drive, south corner for a circular walk and experience spring’s awakening! Mostly unpaved surfaces with some steep slopes. The slope down to the bluffs from Chine Drive is fairly steep, but we can take the paved path if conditions are slippery; the sheltered ravine in Midland Ravine Park is the most likely spot for early birds and flowers, but be prepared for mud; from there it is a short walk up to Kingston Rd at Midland (coffee and washrooms) or back to the start along Kelsonia Av. Bring binoculars and wear waterproof footwear. This walk is only one of more than 140 that TFN will host this year alone! TFN members enjoy a complete listing of walks in our newsletter. Not a member? Learn more about the benefits of membership now! Please tag any photos you take on this walk with #TFNWalk so that we can all live vicariously through your lens." April 18, 25, Thursdays, 3pm-7pm. Dufferin Grove Organic Farmers Market. Quote: "Local farmers (small farms from southern Ontario) sell their organically-grown products, including fruits, vegetables, herbs, and breads. Runs all year. Access to the produce farm stands is from the south/side entrance facing the park (not through the main entrance facing the mall)." April 18, 2019, Thursday, 7pm-9pm. PYOW. TVA Toronto Dinner Social Group: Dinner at Tabule Midtown. April 20, 2019, Saturday, 10am. Free? TFN Nature Walk - German Mills Creek Walk & Clean Up. Led by Theresa Moore. Start: NE corner of Leslie St and Steeles Ave East. Quote:"Theresa Moore, creator of the newly-released Fauna, Photographs will be leading her annual two hour circular walk along German Mills Creek to view spring wildflowers & birds, and clean up the park! Bags will be supplied. Meet at the northeast corner of Leslie St. and Steeles Ave E. Morning only. No washrooms. Part of TFN’s Earth Day Celebrations. This walk is only one of more than 140 that TFN will host this year alone! TFN members enjoy a complete listing of walks in our newsletter. Not a member? Learn more about the benefits of membership now! Please tag any photos you take on this walk with #TFNWalk so that we can all live vicariously through your lens." Quote: "In a poll released by the Angus Reid Institute, it was found that two-thirds of Canadians believed political correctness is often taken too far; especially when it comes to the terminology used in daily speech. Even more than this, around three-quarters of Canadians have admitted to withholding a personal thought or opinion; not only for the sake of being mannerly, but also to avert negative criticism. On the other hand, some argue that political correctness is "the only social and morally acceptable outlook." It's not just an attitude, but a way of life that offers "the satisfaction of knowing that you are undoing the social evils of centuries of oppression." When we think it but we don’t say it…Who would benefit from this? Who would this damage?." Location: 519 Community Centre, 519 Church St, Rm 304?, north of Wellesley St East, Toronto, ON M4Y 2C9. April 20, Saturday, 5pm. Free. Cafe Skeptique - Monthly Meetup - Cafe Skeptique: CHANGING MINDS! Persuasion and sharing times we've been wrong. Location: Free Times Cafe, 320 College St, between Major St and Robert St, three blocks west of Spadina Ave.
April 20, 2019, Saturday, 7pm-10pm. $5. Toronto Vegan Potluck Group: Vegan Easter Potluck. Location: Ralph Thornton Community Centre, 765 Queen St East, Toronto, Ontario M4M 1H3. Quote: "Hey everyone! It’s Easter time, and what better way to celebrate than to share cruelty-free food with a warm community. Thanks to all of our sponsors, this time we will also have raffle and food contests. Join us at the party for food, friends, and fun. For everything to go smoothly: • Bring Vegan food you would like to share, and something to serve it with. • Also, eating utensils and dishes. • RSVP on our web app: https://veganpotluck.ca • Post your food and the list of ingredients on the app. • No alcohol, please. * The event is fully accessible, and we hope to create a safe space for everyone! * Minimum $5 donation will help cover the cost of the event. * Bring your friends and family, can’t wait to see you there! (Please share the event, the venue can host 150 people)." April 21, Sunday, 2019, 2pm. Free. Lost River Walk - Urban Forest on the Lake Iroquois Shore Cliff. Led by John Wilson and urban forester, Steve Smith. Start: Summerhill subway entrance. Quote: "Identify and explore the budding street trees in the Summerhill area for Easter. This linear walk starts at the Summerhill subway entrance, Shaftesbury and Yonge St., and travels city streets with some steep sections to Davenport and Dupont. The route traces part of the escarpment of prehistoric Lake Iroquois along the Core Circle, the natural boundary of central Toronto. Comfort facilities at the start." Toronto Green Community - Lost River Walks: 416-781-7663, info(at)torontogreen.ca, http://www.torontogreen.ca, http://www.lostrivers.ca/WalkSchd.htm . April 21?, Sunday?, 6:30pm-9pm. Free. Toronto Philosophy Meetup: One Hundred Years of Solitude by Gabriel García Márquez. Quote: "The fictional village of Macondo lies in northern Colombia, somewhere in the great swamps between the mountains and the coast. Founded by Jose Arcadio Buendia, his wife Ursula, and nineteen other families, "It was a truly happy village where no one was over thirty years of age and where no one had died." At least initially. One Hundred Years of Solitude chronicles, through the course of a century, life in Macondo and the lives of six Buendia generations — from Jose Arcadio and Ursula, through their son, Colonel Aureliano Buendia (who commands numerous revolutions and fathers eighteen additional Aurelianos), through three additional Jose Arcadios, through Remedios the Beauty and Renata Remedios, to the final Aureliano, child of an incestuous union. As babies are born and the world's "great inventions" are introduced into Macondo, the village grows and becomes more and more subject to the workings of the outside world, to its politics and progress, and to history itself. And the Buendias and their fellow Macondons advance in years, experience, and wealth ... until madness, corruption, and death enter their homes. From the gypsies who visit Macondo during its earliest years to the gringos who build the banana plantation, from the "enormous Spanish galleon" discovered far from the sea to the arrival of the railroad, electricity, and the telephone, Gabriel Garcia Marquez's classic novel weaves an enchanting tapestry of the everyday and the fantastic, the humdrum and the miraculous, life and death, tragedy and comedy — a tapestry in which the noble, the ridiculous, the beautiful, and the tawdry all contribute to an astounding vision of human life and death, a full measure of humankind's inescapable potential and reality. *** This meetup is dedicated to discussing One Hundred Years of Solitude by the Colombian author and journalist Gabriel García Márquez, winner of the 1982 Nobel Prize in Literature. The novel, published in 1967, is widely thought to be one of the greatest novels of all time. (E.g. ranking 9th on this meta-list of greatest books ever written: https://thegreatestbooks.org/) An acclaimed translation of the work can be viewed and downloaded HERE - https://www.box.com/s/yi8zf269livz7fa0gi4nrmcelpselzuh Please have the novel read in advance of our discussion. The novel is about 350 pages long so you may want to get started early. Also, please come to our discussion prepared with a thought or two about the novel to share with the rest of the group The thought can be about anything, but please relate it to something specific in the novel if possible (e.g. a quote or passage)." April 22, Monday, 10:45am-12:45pm. $2. Explore Toronto: Weekday Brisk All Weather Walks - Spring Blossom Sneak Peak. Hosted by Dave. Start: Runnymede Subway Station, Runnymede Rd and Bloor St West, Toronto, ON. Quote:"Meeting at Runnymede Subway Station, street level. The group will precede east, then south through Highark, where we can examine the cherry trees and see how they are progressing. We will make our way east through Parkdale, Draper street into downtown concluding at York and Richmond streets. Please arrive prior to 10 45 a.m.so that we may commence the walk on time. $2,00 pp walk 408." April 22, 29, Mondays, 3pm-7pm. Sorauren Park Farmers Market. Year round. April 25, Thursdays, 3pm-7pm. Dufferin Grove Organic Farmers Market. Quote: "Local farmers (small farms from southern Ontario) sell their organically-grown products, including fruits, vegetables, herbs, and breads. Runs all year. Access to the produce farm stands is from the south/side entrance facing the park (not through the main entrance facing the mall)." - Autodesk at Mars, 661 University Ave, south of College St.
- Cinesphere, 955 Lakeshore Blvd West. - Bader Theatre, 93 Charles St West, east of Avenue Rd. - Innis Town Hall, 2 Sussex Ave, corner with St George St, south of Bloor St West. - Hart House Theatre, 7 Hart House Circle. - Tiff Bell Lightbox, 350 King St West. - Hot Docs Cinema, 506 Bloor St West, east of Bathurst. - Scotiabank Theatre, 259 Richmond St West. April 26, 2019, Friday, 10:45am-12:45pm. $2. Explore Toronto: Weekday Brisk All Weather Walks - Toronto Islands. Hosted by Dave. Start: Jack Layton Ferry Terminal, 9 Queen's Quay West, Toronto, ON M5J 2H3. Quote:"Starting from the Jack Layton Ferry Terminal, we will set sail to Ward's Island, taking in the view of the Keating Channel, local cottages and various beaches. We will continue along the boardwalk where we will take in Centre Island and stop by the boutique, before returning to the city. Please arrive prior to 11 00 a.m., as latecomers will be left dockside. The Islands offer great opportunities for picture taking! Walk 412 $ 2.00 pp. Further information on tickets and schedules www.torontoisland.com "
April 26, 2019, Friday, 6pm-8pm. RSVP Required. PYOW. TVA's Vegetarians of High Park - Dinner at The Goods. Quote: "Come check out the all-vegan restaurant The Goods (279 Roncesvalles). They have delicious bowls, smoothies, and salads. RSVP required by Wednesday, April 24th. RSVP to highpark@veg.ca "
April 26, Friday, 7pm. Free. The Association for Science and Reason (Skeptics Canada) - Monthly Meetup. April 27, 2019, Saturday, 11am-3pm. Free. Inorganic Market & ADL Process - Community Certified Electronic Waste Collection Event. Location: Northern District Library, 40 Orchard View Blvd, Toronto, Ontario M4R1B9. Quote: "Bring your TVs, computers, phones and other unused electronics for safe disposal. Collected material is sent to ADL Process, a Toronto based, Ontario Electronic Stewardship (OES) processor. For more information visit inorganicmarket.ca or our Facebook event page: @inorganicmarket This free community event is provided by ADL Process Electronics Recycling and iRecycle Computers." Event info: Inorganic Market, https://inorganicmarket.ca/, https://www.facebook.com/pg/inorganicmarket/events/?ref=page_internal. April 27, 2019, Sunday, 1pm. Free. Ian Wheal Heritage Walk - Toronto Islands (1857) Heritage Bike/Walk. Led by Ian Wheal. Start: Jack Layton Ferry Terminal 9 Queens Quay West, bottom of Bay St, Toronto. Quote: "Guided walk on the island. 1 pm. Free (ferry fare required). Meet at the ferry docks." April 27, Saturday, 1pm-3:30pm. TENTATIVE. TVA Fundraiser - Worldwide Vegan Bake Sale. Quote: "Come out to the Toronto Vegetarian Association’s ... Worldwide Vegan Bake Sale. There will be cupcakes, cookies, granola bars and more." Location: TVA Resource Centre, 17 Baldwin Street, second floor, west of McCaul St, between College St and Dundas St West. April 27, 2019, Saturday, 1:30am. Free? TFN Nature Walk - Taylor Creek Park. Led by Alicia Gradson and Leila Lessem. Start: Victoria Park subway station. Quote:"Join naturalists Alicia Gradson and Leila Lessem for a visit to Taylor Creek Park. Meet outside Victoria Park subway station for a circular walk to explore Taylor Creek wetlands and surrounding natural areas. Bring binoculars for birding etc. Mostly paved path and stairs. This walk is only one of more than 140 that TFN will host this year alone! TFN members enjoy a complete listing of walks in our newsletter. Not a member? Learn more about the benefits of membership now! Please tag any photos you take on this walk with #TFNWalk so that we can all live vicariously through your lens." - April 28 Sunday, 2019 - Ward 16 | City of Toronto and Councillor Denzil Minnan-Wong | 10 a.m. – 2 p.m. | Donwoods Plaza | 51-81 Underhill Dr.
April 28, Sunday, 11am-5:30pm. Bare Market Pop-Up. April 28, Sunday, 5pm-7pm. Free. Toronto Philosophy Meetup: Thomas Nagel: The View From Nowhere (Week 1: Mind). Quote: "Human beings have the unique ability to view the world in a detached way. We can think about the world in terms that transcend our own experience or interest, and consider the world from a vantage point that is, in Nagel's words, "nowhere in particular." At the same time, each of us is a particular person in a particular place, each with his own "personal" view of the world, a view that we can recognize as just one aspect of the whole. How do we reconcile these two standpoints — intellectually, morally, and practically? To what extent are they irreconcilable, and to what extent can they be integrated? Thomas Nagel's ambitious and lively book tackles this fundamental issue, arguing that our divided subjective/objective nature is the root of a whole range of philosophical problems, touching, as it does, every aspect of human life. He deals with its manifestations in such fields of philosophy as the mind-body problem, personal identity, knowledge and skepticism, thought and reality, free will, ethics, the relation between moral and other values, the meaning of life, and death. Excessive objectification has been a malady of contemporary philosophy, claims Nagel, leading to implausible forms of reductionism in the philosophy of mind and elsewhere. The solution is not to inhibit the objectifying impulse, but to insist that it learn to live alongside the internal perspectives that cannot be either discarded or objectified. Reconciliation between the two standpoints is, according to Nagel, not always possible. *** We are beginning a new series on Thomas Nagel's book The View From Nowhere (1986). Nagel is one of the most respected American philosophers of the past forty years and The View From Nowhere is thought to be the most systematic presentation of his approach. We'll be discussing the entire book over 10 meetups. The reading plan is as follows: Week 1 (CURRENT) - "Chapter I. Introduction" AND "Chapter II. Mind" | Week 2 - "Chapter III. Mind and Body" | Week 3 - "Chapter IV. The Objective Self" | Week 4 - "Chapter V. Knowledge" | Week 5 - "Chapter VI. Thought and Reality" | Week 6 - "Chapter VII. Freedom" | Week 7 - "Chapter VIII. Value" | Week 8 - "Chapter IX. Ethics" | Week 9 - "Chapter X. Living Right and Living Well" | Week 10 - "Chapter XI. Birth, Death, and the Meaning of Life"
Please have the text read in advance of our discussion — the reading for each week is about 20 to 30 pages. You can view and download a copy of the book in various formats HERE: https://b-ok.cc/s/?q=thomas+nagel+the+view+from+nowhere." April 30, Tuesday, 7:30pm-9:30pm. Free? Toronto Debating Society - Mini Debates Marathon. Quote: "Join Toronto Debating Society for a lively Mini Debate Marathon on a variety of topics. GUESTS ARE WELCOME TO PARTICIPATE IN THE DEBATES. May 1. 2019, Wednesday, 6:30pm. Free. TVA's Durham Veg Group: Monthly Meeting: FGF Vegan in Oshawa. May 1 Location: FGF Vegan, 8 Midtown Drive, Oshawa, (905) 723-0449. Quote: "FGF Vegan ... 100% vegan Gluten Free, Soy Free options. Dinner starts at 6:30 pm. Please join us, we love chatting about diet specially the benefits of wfpb. RSVP by April 29th by emailing durham@veg.ca or by filling out the form... We kindly request that you honor your RSVP to avoid over or under booking the restaurants." May 3, 2019, Friday, 10:45am-12:45pm. $2. Explore Toronto: Weekday Brisk All Weather Walks - Are You Waiting To "Ex" Hale ? Ver. 3D. Hosted by Dave. Start: Wellesley Station, 16 Wellesley St East, Toronto, ON. - May 11 Saturday, 2019 - Ward 9 | City of Toronto and Councillor Ana Bailão | 10 a.m. – 2 p.m. | Galleria Mall | 1245 Dupont St.
- May 18 Saturday, 2019 - Ward 21 | City of Toronto and Councillor Michael Thompson | 10 a.m. – 2 p.m. | McGregor Park Community Centre | 2219 Lawrence Ave. E.
- May 25 Saturday, 2019 - Ward 18 | City of Toronto and Councillor John Filion | 10 a.m. – 2 p.m. | Earl Haig Secondary School | 100 Princess Ave.
- May 26 Sunday, 2019 - Ward 6 | City of Toronto and Councillor James Pasternak | 10 a.m. – 2 p.m. | Downsview Park | 35 Carl Hall Rd. May 4, Saturday, 10am-4pm. Free. Really Really Free Market Toronto. Usually the first Saturday of each month. Quote: "Really Really Free Market, ... @ Campbell Park, 195 Campbell Avenue (10 minute walk from Landsdowne Station). No money. No barter. No trade. Everything is free. If you wish to make a contribution, remember: a) although we're open until 4pm, we can't accept any new items after 3pm b) please only bring items that are clean and in working condition c) we can't accept furniture and other large items, unless you leave your contact info and are available to pick up your large item(s) if it's not taken by the end of the market. No baby car seats, please. We do have a one-shopping-cart/person and two-shopping-carts/family limit; but after 3 pm., you may take a carload if you wish! Any questions?--please write to rrfmarket@gmail.com. (Do not direct reply to this post.) Hope to see you there." May 4, 2019, Saturday, 10:30am-12n. Free. Jane's Walk - Bond Street: An Urban Archeology Tour. Led by the Mackenzie House Staff. Start: 82 Bond Street. Quote: "This walking tour will look at the diverse historical layers of one of Toronto’s most fascinating streets. Churches, an early synagogue, publishing houses and the last home of the famous rebel William Lyon Mackenzie; this street packs a huge amount of Toronto history into a few short blocks. 100% guaranteed to tell you something about this city that you do not yet know. Walk ends at 82 Bond Street." May 4, 2019, Saturday, 11am-12:15pm. Free. Jane's Walk - A Unique Treasure Hunt in Hillcrest Cedarvale. Led by John Cummings and Leehe Lev, with Friends of Cedarvale Park and Toronto Tool Library. Start: 830 St Clair Ave W (on the west side of the Toronto Tool Library building in the vacant lot). Quote: "Plogging is the latest fitness craze from Sweden, and is now making its debut at this year’s Jane’s Walk. This event is for both walkers and joggers. Get fit, while helping to clean our city. Find treasures while discussing waste diversion and reduction ideas. The City of Toronto Solid Waste Management will be loaning out trash grabbers, gloves and garbage bags on a first come, first served basis. Walk ends at St Clair west station.."
May 4, 2019, Saturday, 11am-12:30pm. Free. Jane's Walk - Riverside Wild Plant Walk. Led by Danette Steele, with Riverside BIA. Start: 765 Queen St East, corner of Queen/Saulter Library. Quote: "If you would like to learn to identify local plants that are good for food, medicine and pollinators - come out and enjoy this Riverside Walk! Enjoy springtime walk through the Riverside neighbourhood with our local herbalist Danette Steele. She will share stories about the history and the medicinal + nutritional benefits of the plants that we find along the way. During this gently paced walk, we will wander through laneways, parks and gardens. You will gain new insights into the green world that surrounds us in the city after you meet some wild plant friends –like Dandelion, Motherwort, Plantain and Goosefoot. Bring your travel mug as herbal teas are provided a few minutes before the walk! Walk ends at Joel Weeks Park." May 4, 2019, Saturday, 11am-3pm. Free. Inorganic Market & ADL Process - Community Certified Electronic Waste Collection Event. Location: Toronto Public Library - St. Lawrence, 171 Front Street East, Toronto, Ontario M5A 3Z4. Quote: "Bring your TVs, computers, phones and other unused electronics for safe disposal. Collected material is sent to ADL Process, a Toronto based, Ontario Electronic Stewardship (OES) processor. For more information visit inorganicmarket.ca or our Facebook event page: @inorganicmarket This free community event is provided by ADL Process Electronics Recycling and iRecycle Computers." Event info: Inorganic Market, https://inorganicmarket.ca/, https://www.facebook.com/pg/inorganicmarket/events/?ref=page_internal. May 4, 2019, Saturday, 11:30am-1pm. Free. Jane's Walk - Wychwood Park. Led by Marilyn Spearin and Terry Marescaux with Community History Project. Start: Tollkeeper’s Cottage at Bathurst and Davenport. Quote: "Wychwood Park is a little enclave of woods, beautiful houses, a pond, a creek, and a lot of history, in the heart of the city of Toronto. The park was founded in the 1870s by artist Marmaduke Matthews and his friend Alexander Jardine, who bought 20 acres of land and built the first two houses, with the intention that the area be an artists’ colony. Architect Eden Smith designed many of the houses according to the principles of the Arts and Crafts movement. Walk around the park with us and see 300-year-old oak trees, turtles in the pond, and the former home of Marshall McLuhan. Walk ends at the Wychwood Park gates on Davenport." May 4, 2019, Saturday, 11:30am-1pm. Free. Jane's Walk - Going Up | Architecture, History and Elevators. Led by Joshua Nelson of the Elevator Scene Studio. Start: In front of Union Station . Quote: "Explore elevators and their indispensable role in cities and architecture across Toronto from the turn of the century to the latest advances in the vertical transportation industry. This Walk will explore exemplary historical elevators dating as far back as 1894 at the Flat Iron building to panoramic glass elevators overlooking 14 storeys at the Atrium on Bay. Along the way, learn about the role elevators play in modern cities, how we can better think the vertical commute and the technological advances that allow people to live and work closer than ever before. Walk ends at Yonge & Dundas Square." May 4, 2019, Saturday, 2pm-3:30pm. Free. Jane's Walk - Casa Loma District History, Heritage and Hemingway. Led by Cheryl Millett and Jonathan Spencer with the Casa Loma Residents Association. Start: 145 Hilton Ave, NE corner by the drinking fountain of Wells Hill Park. Quote: "Walk through Toronto’s most recently surveyed heritage neighbourhood, the leafy Casa Loma district south of St. Clair West subway, on the shores of ancient Lake Iroquois. See the houses associated with Marshall McLuhan, Neilson chocolates, McLean’s Magazine, Jeremiah Dinwoody, and, yes, Ernest Hemingway. Walk ends at the NE Corner Wells Hill Park." May 4, Saturday, 2pm-4pm. Free. Stoicism Toronto Meetup: Donald Roberts book launch on How to Think Like a Roman Emperor. Location: Ben McNally Books, 366 Bay St, Toronto, ON. Quote: "To mark the publication of his latest book, How to Think Like a Roman Emperor: The Stoic Philosophy of Marcus Aurelius, Donald Robertson will be giving a talk and signing copies of the book at Ben McNally’s bookstore in downtown Toronto. 2-4pm on Saturday 4th May. In the lead up to publication, the store is also taking pre-orders for signed copies of the book. Donald will be giving an in-depth talk about the life and Stoic philosophy of Marcus Aurelius, taking questions, and reading excerpts from How to Think Like a Roman Emperor, as well as signing copies of the book. Please come along and join us. Event Details Time/Date: 2-4pm, Saturday 4th May | Venue: Ben McNally Books, 366 Bay Street, Toronto, ON M5H 4B2. (Map) Email:info@benmcnallybooks.com | Tel:1-416-361-0032 | Mon-Fri 9-6, Saturday (except long weekends) 11-5, Closed on Sunday | Web: benmcnallybooks.com." May 4, 2019, Saturday, 7pm-9pm. Free. Jane's Walk - Ghost Walk – Exhibition Place. Led by Steve Collie with the Exhibition Place. Start: General Services building, 2 Manitoba Drive. Quote: "This tour takes you behind locked doors at Exhibition Place to introduce you to known ghostly hot-spots. Exhibition Place is known for its bright lights and entertaining shows and events, but lurking below the surface are many well-kept secrets that, until this walking tour, were primarily known only to staff who work the late shift. That the grounds should harbour otherworldly visitors is not much of a surprise: the Horticulture Building was once used as a temporary morgue; the site was a bloody battlefield during the War of 1812; and the grounds were once home to two military forts – plenty of time and plenty of reasons for an accumulation of 'things that go bump in the night.' Walk ends at the Scadding Cabin (Exhibition grounds) – walk leader and volunteers will walk back to the General Services building, passing the TTC/GO station after the end of the tour." May 5, 2019, Sunday, 1pm-2:45pm. Free. Jane's Walk - The Steps of Old Lake Iroquois. Start: Baldwin Steps in Spadina Park, by Davenport Rd and Spadina Rd. Quote: "Led by Gary Shaul, who will be gathered with other walkers at the base of the Baldwin steps. Gary will be wearing an orange vest with a megaphone. Enjoy dazzling city views with a little bit of a workout. We will explore historic and current land use along the ridge above Davenport Road between Spadina Road & Dufferin Street. What was Lake Iroquois? Who were the first peoples to live in this area? Who were some of the early Toronto movers and shakers? What was the origin of Wychwood Park and Tollkeeper’s Cottage? What’s the story behind Casa Loma and Spadina House? What are bad bricks? What is the origin of Wychwood Park and its pond? Where is Garrison Creek? Walkers are encouraged to add to our growing list of facts! Walk ends at Davenport & Glenholme Avenue at the top of the stairs (just east of Dufferin)." May 5, 12, 19, 26, 2019, Sundays, 9am-2pm. Leslieville Farmers Market. May-October. Quote: "Local farmers (small farms from southern Ontario) sell their organically-grown products, including fruits, vegetables, herbs, and breads." May 10, 2019, Friday, 7pm-10pm. $5/PYOW. Toronto Vegan Meetup: CashFlow 101 Boardgame Social for Vegans. May 11, 2019, Saturday, 10am-2pm. Free Registration Required. Don’t Mess with the Don - Don Valley Ravine Cleanup and Revitalization. Quote: "Join us in an effort to completely clean out and revitalize one of the most neglected, trash filled ravines in the Don Valley... we invite you to join us in the critical and ambitious project; together we will clean and restore a section of the Lower Don Ravine which has been subject to dumping and neglect. This event builds on the existing efforts of local community groups who have been working to help keep our ravines clean. Joining this effort are friends of the Don, families, children, cyclists, mountain bikers, canoers and kayakers, dog walkers, nature enthusiasts, neighbours, trail runners, concerned retailers including Salomon and Arc’teryx, members of environmental groups and stakeholders such as Evergreen and Toronto Field Naturalists. Torontonians all, uniting to revitalize a forgotten ravine in Toronto’s largest green space – The Don Valley. Gloves and bags will be provided **** Raffle prizes to be won *** free drink & snacks ***. This event is an initiative by Don’t Mess with the Don and supported by Evergreen, Greenpeace Canada, Zero Waste Hub Toronto, Salomon, Arc’teryx and One Piece a Day. " May 11, 2019, Saturday, 11am-3pm. Free. Inorganic Market & ADL Process - Community Certified Electronic Waste Collection Event. Location: Toronto Public Library- Deer Park Branch, 40 St Clair Ave East, Toronto, Ontario M4T 1M9. Quote: "Bring your TVs, computers, phones and other unused electronics for safe disposal. Collected material is sent to ADL Process, a Toronto based, Ontario Electronic Stewardship (OES) processor. For more information visit inorganicmarket.ca or our Facebook event page: @inorganicmarket This free community event is provided by ADL Process Electronics Recycling and iRecycle Computers." Event info: Inorganic Market, https://inorganicmarket.ca/, https://www.facebook.com/pg/inorganicmarket/events/?ref=page_internal. May 11, Saturday, 11am-6pm. Bare Market Pop-Up: Zero Waste Fair (Spring into Parkdale Festival). May 11, 2019, Saturday, 7pm-10pm. $5/PYOW. Toronto Vegan Meetup: Toronto Vegan Drinks. May 12, Sunday, 1pm-4pm. Cost? York Friends of Animals - Vegan Hike at Bond Lake. Quote: "Join York Friends of Animals and some of your fellow vegans @ The Oak Ridges Corridor Park for a hike in this beautiful scenery of the Oak Ridges Moraine to admire the beautiful wildlife, enjoy the fresh air and socialize as we walk along . All are welcome to join. After the conclusion of this hike if weather permits, we will rest for a nice vegan picnic. It is recommended to bring a water bottle and sunscreen (weather and proper gear you require for the hike. The time length for the hike portion is estimated at around two hours. Thank you." Location: Oak Ridges Corridor Park, 12611 Yonge St, Richmond Hill, ON L4E. May 12, 2019, Sunday, 1:30am. Free? TFN Nature Walk - Aggie’s Wildflowers. Led by Madeleine McDowell. Start: Lambton House, 4066 Old Dundas St.
Quote:"Join Madeleine McDowell, TFN member & Chair of the Humber Heritage Committee, and rediscover the world of Agnes Dunbar Moodie Fitzgibbon, daughter of Susanna Moodie and illustrator of Canadian Wildflowers (published in 1867). All of Aggie’s specimens were from the Baby Point and Humber Valley area. Many of these flowers will survive in the Magwood Sanctuary. Meet at Lambton House, 4066 Old Dundas St. (#55 Warren Park bus from Jane subway station stops at the door). Approx. 2 hours ending at Lambton House for tea and a talk about Agnes. This walk is only one of more than 140 that TFN will host this year alone! TFN members enjoy a complete listing of walks in our newsletter. Not a member? Learn more about the benefits of membership now! Please tag any photos you take on this walk with #TFNWalk so that we can all live vicariously through your lens." May 14, 2019, Tuesday, 7:30pm. Free. RSVP Form Required. TVA's Durham Veg Group - DurhamVeg Documentary Series: What The Health. Location: FGF Vegan, 8 Midtown Drive, Oshawa, Ontario. Quote: "Please sign in through the contact form or email us at durham(at)veg.ca." May 16, 2019, Thursday, 7pm-9pm. PYOW. TVA Toronto Dinner Social Group: Dinner at Cosmic Treats. May 17, Friday, 7pm. Free. The Association for Science and Reason (Skeptics Canada) - Monthly Meetup. May 18, 2019, Saturday, 10am. Free? TFN Nature Walk - TFN / Toronto Bruce Trail Club Joint Outing. Led by Charles Bruce-Thompson and Ray Berzins. Start: Entrance to the spit at the foot of Leslie Street. Quote:"Take a nature walk on the spit with TFN past-president, Charles Bruce-Thompson, and Ray Berzins of the Toronto Bruce Trail Club. Meet at the entrance to the spit at the foot of Leslie Street for a circular walk. Bring lunch and water. Participants can leave anytime by walking back to the starting point. This walk is only one of more than 140 that TFN will host this year alone! TFN members enjoy a complete listing of walks in our newsletter. Not a member? Learn more about the benefits of membership now! Please tag any photos you take on this walk with #TFNWalk so that we can all live vicariously through your lens." May 18, 2019, Saturday, 11am-1pm. Free. Jane's Walk - From Underused Spaces to Urban Oases. Quote: "Meet at 425 Bloor St W, Toronto, ON M5S 1X6; outside metro. Look for the Robert Street Parkette storyboard, as well as a Walk sign! The Bloor Annex BIA presents “From Underused Spaces to Urban Oases”, promoting our upcoming Street Revitalization Project, a greening initiative which will transformation four underused rights-of-way along Bloor – at Howland, Brunswick, Major and Robert – into dynamic green spaces featuring pollinator gardens, artistic bike parking, murals, public art seating and more! The event kicks off with a guided tour along Bloor. Attendees will be led to each parkette site and other key locations in the neighbourhood where we will speak to significant elements of the project and the community. Included will be live mural installation, seed giveaways, free bike check-ups, live music and free food! Walk ends at Howland Avenue (where Howland meets Bloor) by the ‘bee mural’ ." May 18, Saturday, 5pm. Free. Cafe Skeptique - Monthly Meetup - Cafe Skeptique: TBA. May ?, 2019, Sunday, 10am-4:30pm. $TBA. TVA Members only. RSVP Required. TVA Bus Trip: Wishing Well Sanctuary. Tentative Start: Ossington subway station, Bloor St West. May 23, 2019, Saturday, 10am. Free? TFN Nature Walk - Wildflowers in High Park. Led by Wendy Rothwell. Start: Entrance to High Park at Bloor St West and High Park Ave.
Quote:"Visit High Park with Wendy Rothwell to look for spring wildflowers. Meet at the entrance to High Park at Bloor St W and High Park Ave for a circular walk including some hilly rough trails. Morning only. This walk is only one of more than 140 that TFN will host this year alone! TFN members enjoy a complete listing of walks in our newsletter. Not a member? Learn more about the benefits of membership now! Please tag any photos you take on this walk with #TFNWalk so that we can all live vicariously through your lens." May 24, 2019, Friday, 10:45am-12:45pm. $2. 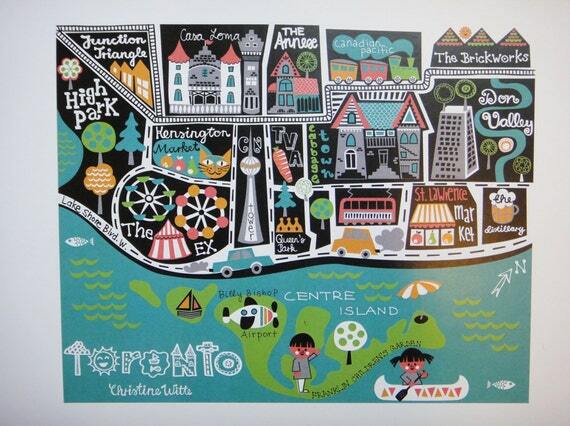 Explore Toronto: Weekday Brisk All Weather Walks - Let's Explore Toronto Islands - West to East. Hosted by Dave. Start: Jack Layton Ferry Terminal, 9 Queen's Quay West, Toronto, ON M5J 2H3. Quote:"Starting from the Jack Layton Ferry Terminal, we will set sail to Hanlans Point taking in the view of Lake Ontario, light house, maze ,local cottages and various beaches. We will continue along the boardwalk where we will take in Centre Island and stop by the boutique, before returning to the city. Please arrive prior to 11 00 a.m., as latecomers will be left dockside. The Islands offer great opportunities for picture taking ! Walk 416$ 2.00 pp. Further information on tickets and schedules www.torontoisland.com "
May 25, Saturday, 10am-2pm. Cost? TVA Veg Fitness Meetup Group - May 2019 Don Valley Cycling. Hosted by Jenn. Start: Corktown Common, Toronto, Ontario M5J 0A3. May 25, 2019, Saturday, 10am-2pm. Free. Inorganic Market & ADL Process - Community Certified Electronic Waste Collection Event. Location: S. Walter Stewart Library, 170 Memorial Park Avenue, Toronto, Ontario M4J 2K5. Quote: "Bring your TVs, computers, phones and other unused electronics for safe disposal. Collected material is sent to ADL Process, a Toronto based, Ontario Electronic Stewardship (OES) processor. For more information visit inorganicmarket.ca or our Facebook event page: @inorganicmarket This free community event is provided by ADL Process Electronics Recycling and iRecycle Computers." Event info: Inorganic Market, https://inorganicmarket.ca/, https://www.facebook.com/pg/inorganicmarket/events/?ref=page_internal. May 25, 2019, Saturday, 1pm. Free? TFN Nature Walk - Todmorden Mills Wildflower Preserve. Led by Paula Davies, Chair of the Todmorden Mills Wildflower Preserve Committee. Start: Todmorden Mills entrance, 67 Pottery Rd. Quote:"Join Paula Davies, Chair of the Todmorden Mills Wildflower Preserve Committee, for a tour of one of the most amazing examples of ecological restoration work in Toronto. Meet at the entrance to the wildflower preserve at 67 Pottery Rd for a circular walk to see the preserve and the work done by the stewards. Come early and visit the historic buildings. Admission is free today. This walk is only one of more than 140 that TFN will host this year alone! TFN members enjoy a complete listing of walks in our newsletter. Not a member? Learn more about the benefits of membership now! Please tag any photos you take on this walk with #TFNWalk so that we can all live vicariously through your lens." May 26, Sunday, 11am-5:30pm. Bare Market Pop-Up. - June 2 Sunday, 2019 - Ward 2 | City of Toronto and Councillor Stephen Holyday | 10 a.m. – 2 p.m. | Richview Collegiate Institute | 1738 Islington Ave.
- June 8 Saturday, 2019 - Ward 20 | City of Toronto and Councillor Gary Crawford | 10 a.m. – 2 p.m. | Birchmount Community Centre | 93 Birchmount Rd. - June 16 Sunday, 2019 - Ward 17 | City of Toronto and Councillor Shelley Carroll | 10 a.m. – 2 p.m. | Old Cummer Go Station Parking Lot | North of Finch Ave. E.; off Leslie St.
- June 22 Saturday, 2019 - Ward 3 | City of Toronto and Councillor Mark Grimes | 10 a.m. – 2 p.m. | Etobicoke School of the Arts | 675 Royal York Rd. June 1, Saturday, 10am-4pm. Free. Really Really Free Market Toronto. Usually the first Saturday of each month. Quote: "Really Really Free Market, ... @ Campbell Park, 195 Campbell Avenue (10 minute walk from Landsdowne Station). No money. No barter. No trade. Everything is free. If you wish to make a contribution, remember: a) although we're open until 4pm, we can't accept any new items after 3pm b) please only bring items that are clean and in working condition c) we can't accept furniture and other large items, unless you leave your contact info and are available to pick up your large item(s) if it's not taken by the end of the market. No baby car seats, please. We do have a one-shopping-cart/person and two-shopping-carts/family limit; but after 3 pm., you may take a carload if you wish! Any questions?--please write to rrfmarket@gmail.com. (Do not direct reply to this post.) Hope to see you there." June 1, 2019, Saturday, 11am-3pm. Free. Inorganic Market & ADL Process - Community Certified Electronic Waste Collection Event. Location: Centennial Library, 578 Finch Ave West, Toronto, ON, Toronto, Ontario M2R 1N7. Quote: "Bring your TVs, computers, phones and other unused electronics for safe disposal. Collected material is sent to ADL Process, a Toronto based, Ontario Electronic Stewardship (OES) processor. For more information visit inorganicmarket.ca or our Facebook event page: @inorganicmarket This free community event is provided by ADL Process Electronics Recycling and iRecycle Computers." Event info: Inorganic Market, https://inorganicmarket.ca/, https://www.facebook.com/pg/inorganicmarket/events/?ref=page_internal. June 8, 2019, Saturday, 11am-3pm. Free. Inorganic Market & ADL Process - Community Certified Electronic Waste Collection Event. Location: Victoria Village Library, 184 Sloane Avenue, Toronto, Ontario M4A 2C4. Quote: "Bring your TVs, computers, phones and other unused electronics for safe disposal. Collected material is sent to ADL Process, a Toronto based, Ontario Electronic Stewardship (OES) processor. For more information visit inorganicmarket.ca or our Facebook event page: @inorganicmarket This free community event is provided by ADL Process Electronics Recycling and iRecycle Computers." Event info: Inorganic Market, https://inorganicmarket.ca/, https://www.facebook.com/pg/inorganicmarket/events/?ref=page_internal. June 7, 2019, Friday, 10:45am-12:45pm. $2. Explore Toronto: Weekday Brisk All Weather Walks - Are You Waiting To "Ex" Hale ? Ver. 3D. Hosted by Dave. Start: Wellesley Station, 16 Wellesley St East, Toronto, ON. June 14, 2019, Friday, 7pm-10pm. $5/PYOW. Toronto Vegan Meetup: CashFlow 101 Boardgame Social for Vegans. June 15, 2019, Saturday, 10am-2pm. Free. Inorganic Market & ADL Process - Community Certified Electronic Waste Collection Event. Location: Malvern Branch - Toronto Public Library, 30 Sewells Road, Toronto, Ontario M1B 3G5. Quote: "Bring your TVs, computers, phones and other unused electronics for safe disposal. Collected material is sent to ADL Process, a Toronto based, Ontario Electronic Stewardship (OES) processor. For more information visit inorganicmarket.ca or our Facebook event page: @inorganicmarket This free community event is provided by ADL Process Electronics Recycling and iRecycle Computers." Event info: Inorganic Market, https://inorganicmarket.ca/, https://www.facebook.com/pg/inorganicmarket/events/?ref=page_internal. June 15, Saturday, 5pm. Free. Cafe Skeptique - Monthly Meetup - Cafe Skeptique: TBA. June 22, 2019, Saturday, 11am-3pm. Free. Inorganic Market & ADL Process - Community Certified Electronic Waste Collection Event. Location: Forest Hill Library, 700 Eglinton Ave West, Toronto, Ontario M5N 1B9. Quote: "Bring your TVs, computers, phones and other unused electronics for safe disposal. Collected material is sent to ADL Process, a Toronto based, Ontario Electronic Stewardship (OES) processor. For more information visit inorganicmarket.ca or our Facebook event page: @inorganicmarket This free community event is provided by ADL Process Electronics Recycling and iRecycle Computers." Event info: Inorganic Market, https://inorganicmarket.ca/, https://www.facebook.com/pg/inorganicmarket/events/?ref=page_internal. July 5, 2019, Friday, 10:45am-12:45pm. $2. Explore Toronto: Weekday Brisk All Weather Walks - Are You Waiting To "Ex" Hale ? Ver. 3D. Hosted by Dave. Start: Wellesley Station, 16 Wellesley St East, Toronto, ON. - July 6 Saturday, 2019 - Ward 23 | City of Toronto and Councillor Cynthia Lai | 10 a.m. – 2 p.m. | Nashdene Yard | 70 Nashdene Rd. July 6, Saturday, 10am-4pm. Free. Really Really Free Market Toronto. Usually the first Saturday of each month. Quote: "Really Really Free Market, ... @ Campbell Park, 195 Campbell Avenue (10 minute walk from Landsdowne Station). No money. No barter. No trade. Everything is free. If you wish to make a contribution, remember: a) although we're open until 4pm, we can't accept any new items after 3pm b) please only bring items that are clean and in working condition c) we can't accept furniture and other large items, unless you leave your contact info and are available to pick up your large item(s) if it's not taken by the end of the market. No baby car seats, please. We do have a one-shopping-cart/person and two-shopping-carts/family limit; but after 3 pm., you may take a carload if you wish! Any questions?--please write to rrfmarket@gmail.com. (Do not direct reply to this post.) Hope to see you there." July 6, 2019, Saturday, 11am-3pm. Free. Inorganic Market & ADL Process - Community Certified Electronic Waste Collection Event. Location: Cedarbrae District Library, 545 Markham Rd, Toronto, Ontario M1H 2A1. Quote: "Bring your TVs, computers, phones and other unused electronics for safe disposal. Collected material is sent to ADL Process, a Toronto based, Ontario Electronic Stewardship (OES) processor. For more information visit inorganicmarket.ca or our Facebook event page: @inorganicmarket This free community event is provided by ADL Process Electronics Recycling and iRecycle Computers." Event info: Inorganic Market, https://inorganicmarket.ca/, https://www.facebook.com/pg/inorganicmarket/events/?ref=page_internal. July 6, 2019, Saturday, 12:30pm-2:30pm. PYOW. Richmond Hill Vegans Meetup - Vegan Expo York 2019. Quote: "This is the first Vegan Expo in the north of Toronto, so let's show them our support and try out some great food! Admission is free for the expo and Richmond Hill Vegans get 50% off the vegan buffet with the link below: https://www.eventbrite.com/e/vegan-expo-york-buffet-2019-tickets-58575476828?fbclid=IwAR1nrzkX85jvwsRae8A7iHGqcJ8fHNKnxTWoWMZv45WicbA8AQd9UlE2RdI ... Zhan W."
July 12, 2019, Friday, 7pm-10pm. $5/PYOW. Toronto Vegan Meetup: CashFlow 101 Boardgame Social for Vegans. July 13, 2019, Saturday, 11am-3pm. Free. Inorganic Market & ADL Process - Community Certified Electronic Waste Collection Event. Location: Toronto Public Library - Scarborough Civic Centre Library, 156 Borough Drive, Toronto, Ontario M1P 0B5. Quote: "Bring your TVs, computers, phones and other unused electronics for safe disposal. Collected material is sent to ADL Process, a Toronto based, Ontario Electronic Stewardship (OES) processor. For more information visit inorganicmarket.ca or our Facebook event page: @inorganicmarket This free community event is provided by ADL Process Electronics Recycling and iRecycle Computers." Event info: Inorganic Market, https://inorganicmarket.ca/, https://www.facebook.com/pg/inorganicmarket/events/?ref=page_internal. Previous Locations: - Roncesvalles United Church, 214 Wright Ave, Toronto, ON M6R 1L3. - Toronto Chinese Mennonite Church, 1038 Woodbine Ave, East York, ON M4C 4C4. - Cedarbrae Branch, Toronto Public Library, 545 Markham Rd, one block south of Lawrence Ave East, Scarborough, ON M1B. - Albert Campbell, Toronto Public Library, 496 Birchmount Rd, Scarborough. - Driftwood Community Recreation Centre, 4401 Jane Street, North York. - Parkdale branch, Toronto Public Library, 1303 Queen Street West. - Toronto Reference Library, 789 Yonge St, 1 block north of Bloor St. - Ralph Thornton Centre, Queen/Saulter, TPL Branch, 765 Queen Street East. - S. Walter Stewart branch, Toronto Public Library, 170 Memorial Park Avenue, East York. - Parkdale branch, Toronto Public Library, 1303 Queen Street West. - Skills For Change, 2nd Floor, 791 St Clair Ave West, 4 blocks west of Christie St, near the Arlington streetcar stop. - Albert Campbell Library, 496 Birchmount Rd, Scarborough, between St Clair Ave East and Danforth Rd. - STEAMLabs, 49 Cameron Street, Toronto (north west corner of Spadina and Queen), Lower Level'. - Don Mills library, 888 Lawrence Ave East, west of Don Mills Rd. - Central Neighbourhood House, 349 Ontario St, 3 blocks east of Sherbourbe St, 1 block south of Gerrard St East. - Elmbank Community Centre, 10 Rampart Rd, south of Finch Ave West, east of Martin Grove Rd, Rexdale. - HackLab.TO, 1266 Queen St West, 2nd floor, buzz Unit #12. - TPL North York Central branch. - Toronto Tool Library, 1803 Danforth Ave near Coxwell (http://torontotoollibrary.com/about-2/ourlocationandhour/). - Wychwood Green Barn, 601 Christie St, between Wychwood Ave and Christie St, 2 blocks south of St Clair Ave West. - Park Downsview Park, 70 Canuck Avenue. July 20, Saturday, 5pm. Free. Cafe Skeptique - Monthly Meetup - Cafe Skeptique: TBA. July 27, 2019, Saturday, 11am-3pm. Free. Inorganic Market & ADL Process - Community Certified Electronic Waste Collection Event. Location: Bridlewood Library, 2900 Warden Ave, Toronto, Ontario M1W 2S8. Quote: "Bring your TVs, computers, phones and other unused electronics for safe disposal. Collected material is sent to ADL Process, a Toronto based, Ontario Electronic Stewardship (OES) processor. For more information visit inorganicmarket.ca or our Facebook event page: @inorganicmarket This free community event is provided by ADL Process Electronics Recycling and iRecycle Computers." Event info: Inorganic Market, https://inorganicmarket.ca/, https://www.facebook.com/pg/inorganicmarket/events/?ref=page_internal. August 2, 2019, Friday, 10:45am-12:45pm. $2. Explore Toronto: Weekday Brisk All Weather Walks - Are You Waiting To "Ex" Hale ? Ver. 3D. Hosted by Dave. Start: Wellesley Station, 16 Wellesley St East, Toronto, ON. August 17, 2019, Saturday, 10am-2pm. Free. Inorganic Market & ADL Process - Community Certified Electronic Waste Collection Event. Location: Runnymede Branch Public Library, 2178 Bloor St West, Toronto, Ontario M6S1M8. Quote: "Bring your TVs, computers, phones and other unused electronics for safe disposal. Collected material is sent to ADL Process, a Toronto based, Ontario Electronic Stewardship (OES) processor. For more information visit inorganicmarket.ca or our Facebook event page: @inorganicmarket This free community event is provided by ADL Process Electronics Recycling and iRecycle Computers." Event info: Inorganic Market, https://inorganicmarket.ca/, https://www.facebook.com/pg/inorganicmarket/events/?ref=page_internal. September 6, 2019, Friday, 10:45am-12:45pm. $2. Explore Toronto: Weekday Brisk All Weather Walks - Are You Waiting To "Ex" Hale ? Ver. 3D. Hosted by Dave. Start: Wellesley Station, 16 Wellesley St East, Toronto, ON. September 6-8, Friday-Sunday. Free. TVA Annual Vegetarian Food Festival. Friday September 6th from 4-9pm, Saturday September 7th from 12-9pm, Sunday September 8th from 12-7pm. Quote: "Attended by 40,000 visitors each fall at Harbourfront Centre, the Veg Food Fest is North America’s largest celebration of all things veg. Taste Toronto’s best veg cooking from over 140 vendors. Try locally-made cashew ice cream, cookies, cupcakes, artisanal vegan cheeses, pizza, sausages, samosas, salads, smoothies, and more. Whether you have a sweet tooth or you’re on a health kick, there’s something for everyone." September 14, 2019, Saturday, 11am-3pm. Free. Inorganic Market & ADL Process - Community Certified Electronic Waste Collection Event. Location: Toronto Public Library - College/Shaw, 766 College St, Toronto, Ontario M6G 1C4. Quote: "Bring your TVs, computers, phones and other unused electronics for safe disposal. Collected material is sent to ADL Process, a Toronto based, Ontario Electronic Stewardship (OES) processor. For more information visit inorganicmarket.ca or our Facebook event page: @inorganicmarket This free community event is provided by ADL Process Electronics Recycling and iRecycle Computers." Event info: Inorganic Market, https://inorganicmarket.ca/, https://www.facebook.com/pg/inorganicmarket/events/?ref=page_internal. September 21, 2019, Saturday, 11am-3pm. Free. Inorganic Market & ADL Process - Community Certified Electronic Waste Collection Event. Location: Toronto Public Library - Don Mills Branch, 888 Lawrence Ave East, Toronto, Ontario M3C 1P6. Quote: "Bring your TVs, computers, phones and other unused electronics for safe disposal. Collected material is sent to ADL Process, a Toronto based, Ontario Electronic Stewardship (OES) processor. For more information visit inorganicmarket.ca or our Facebook event page: @inorganicmarket This free community event is provided by ADL Process Electronics Recycling and iRecycle Computers." Event info: Inorganic Market, https://inorganicmarket.ca/, https://www.facebook.com/pg/inorganicmarket/events/?ref=page_internal. October 4, 2019, Friday, 10:45am-12:45pm. $2. Explore Toronto: Weekday Brisk All Weather Walks - Are You Waiting To "Ex" Hale ? Ver. 3D. Hosted by Dave. Start: Wellesley Station, 16 Wellesley St East, Toronto, ON. November 1, 2019, Friday, 10:45am-12:45pm. $2. Explore Toronto: Weekday Brisk All Weather Walks - Are You Waiting To "Ex" Hale ? Ver. 3D. Hosted by Dave. Start: Wellesley Station, 16 Wellesley St East, Toronto, ON. Previous Locations: - Main Street Library, 137 Main St, Toronto, ON M4E 2V9. - Roncesvalles United Church, 214 Wright Ave, Toronto, ON M6R 1L3. - Toronto Chinese Mennonite Church, 1038 Woodbine Ave, East York, ON M4C 4C4. - Cedarbrae Branch, Toronto Public Library, 545 Markham Rd, one block south of Lawrence Ave East, Scarborough, ON M1B. - Albert Campbell, Toronto Public Library, 496 Birchmount Rd, Scarborough. - Driftwood Community Recreation Centre, 4401 Jane Street, North York. - Parkdale branch, Toronto Public Library, 1303 Queen Street West. - Toronto Reference Library, 789 Yonge St, 1 block north of Bloor St. - Ralph Thornton Centre, Queen/Saulter, TPL Branch, 765 Queen Street East. - S. Walter Stewart branch, Toronto Public Library, 170 Memorial Park Avenue, East York. - Parkdale branch, Toronto Public Library, 1303 Queen Street West. - Skills For Change, 2nd Floor, 791 St Clair Ave West, 4 blocks west of Christie St, near the Arlington streetcar stop. - Albert Campbell Library, 496 Birchmount Rd, Scarborough, between St Clair Ave East and Danforth Rd. - STEAMLabs, 49 Cameron Street, Toronto (north west corner of Spadina and Queen), Lower Level'. - Don Mills library, 888 Lawrence Ave East, west of Don Mills Rd. - Central Neighbourhood House, 349 Ontario St, 3 blocks east of Sherbourbe St, 1 block south of Gerrard St East. - Elmbank Community Centre, 10 Rampart Rd, south of Finch Ave West, east of Martin Grove Rd, Rexdale. - HackLab.TO, 1266 Queen St West, 2nd floor, buzz Unit #12. - TPL North York Central branch. - Toronto Tool Library, 1803 Danforth Ave near Coxwell (http://torontotoollibrary.com/about-2/ourlocationandhour/). - Wychwood Green Barn, 601 Christie St, between Wychwood Ave and Christie St, 2 blocks south of St Clair Ave West. - Park Downsview Park, 70 Canuck Avenue. Home unique visitors to Toronto.EclecticHub.info since April 1, 2019. Page views May1-Aug31 2016: 433. Unique Visitors: 2016: Sep:60; Oct:78, Nov:59, Dec:37. 2017: Jan:54; Feb:55; Mar:61, Apr:56, May:55, Jun:67, Nov2018:66, Dec2018:56, Jan2019:71, Feb2019:67, Mar2019:75.